Please: no Lending, swapping or selling. No animals or adverts for free services. Let's keep things local, make sure this is the best group for you to post to. 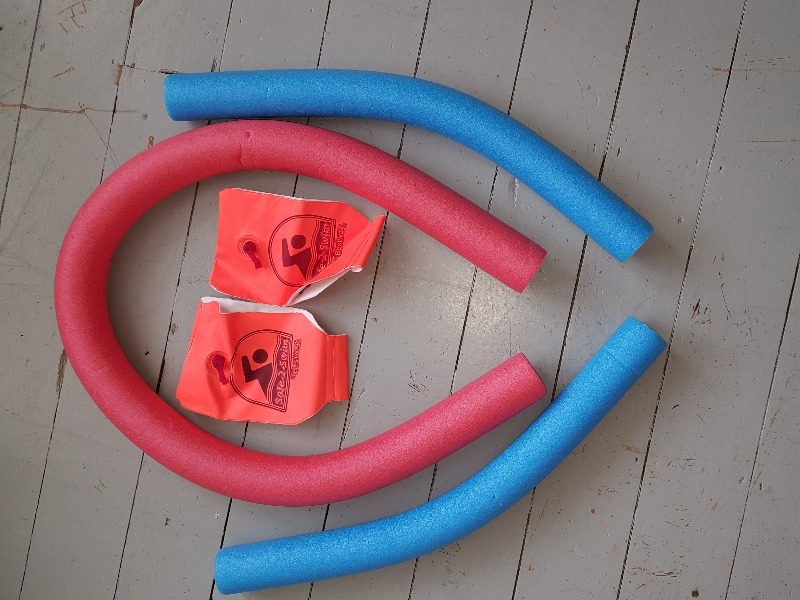 Any left over party bag fillers, for our school summer fair. 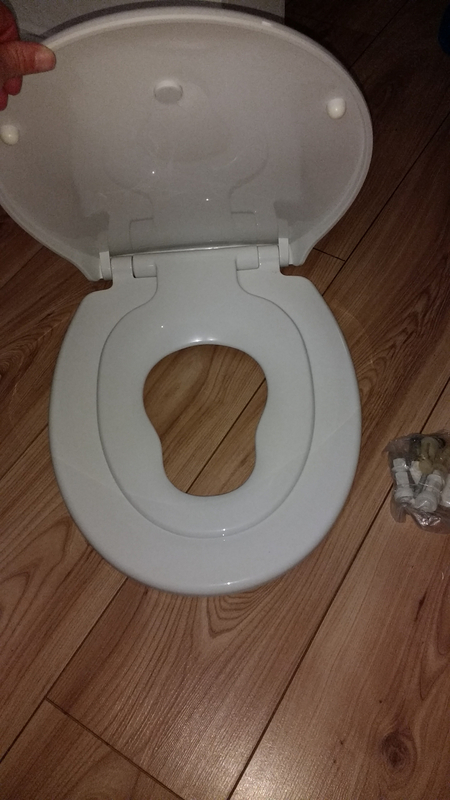 We want to make a traditional kid oriented lucky dip. Any donations gratefully received. Plastic sand and water table. 2 sections and some accessories. It’s been outside in the garden. I’ve given it a quick clean, but it would probably benefit from another clean. I’ve managed to break one of the plastic hinges for one of the lids when cleaning it this morning, but other than that it’s in pretty good condition (a bit sun bleached). Collection South Portslade. 6x8ft greenhouse in need of a good home. Needs to be dismantled. A few pieces of glass need replacing. 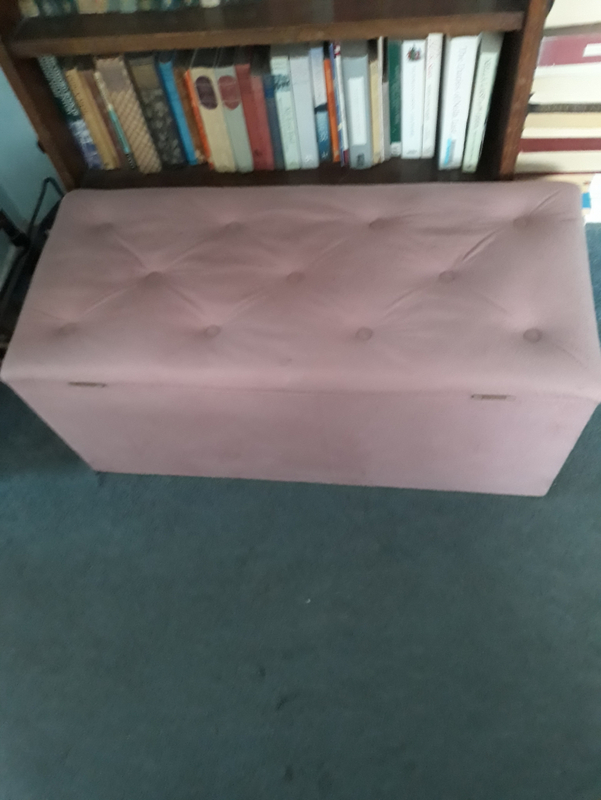 Pink fabric covered ottoman 32in long x 14 x14in. 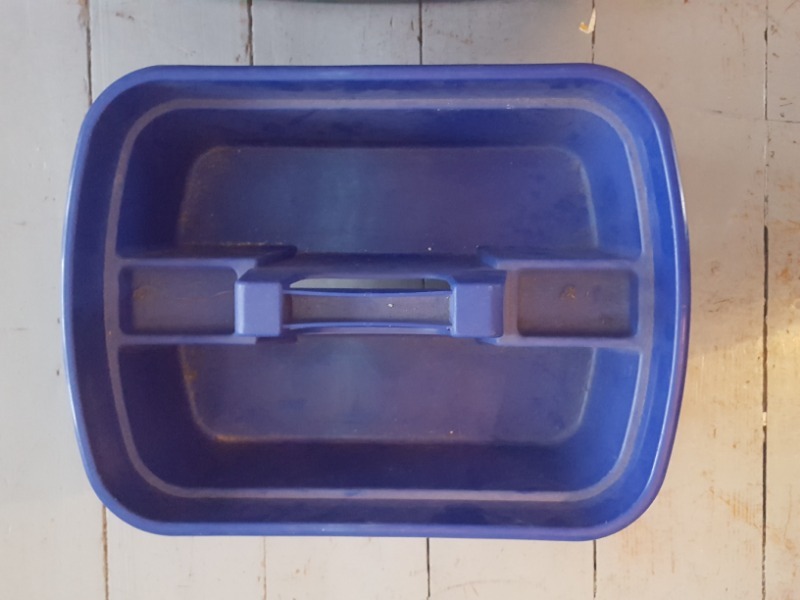 Good condition, great for storing bedding etc. 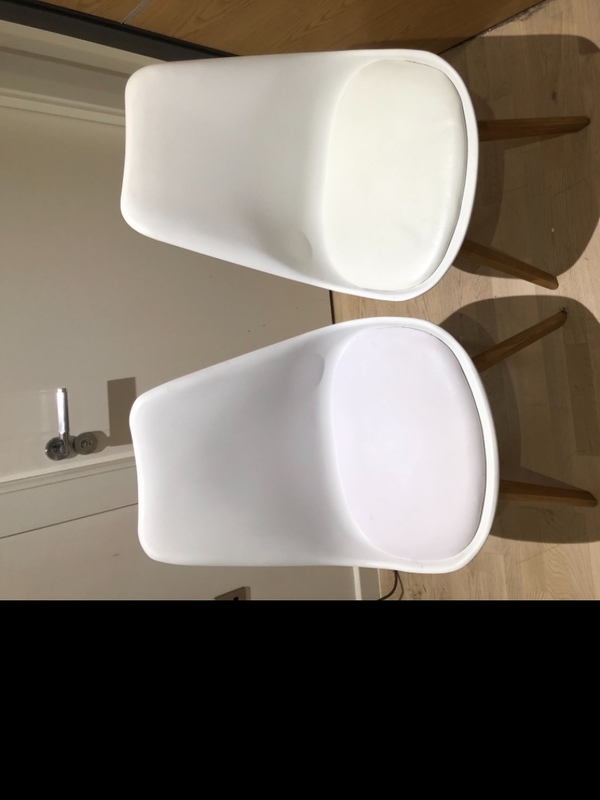 White Ikea Antilop high chair with tray - dismantled and in a bag ready to go. Please state in your reply when you are able to collect. Thank you! 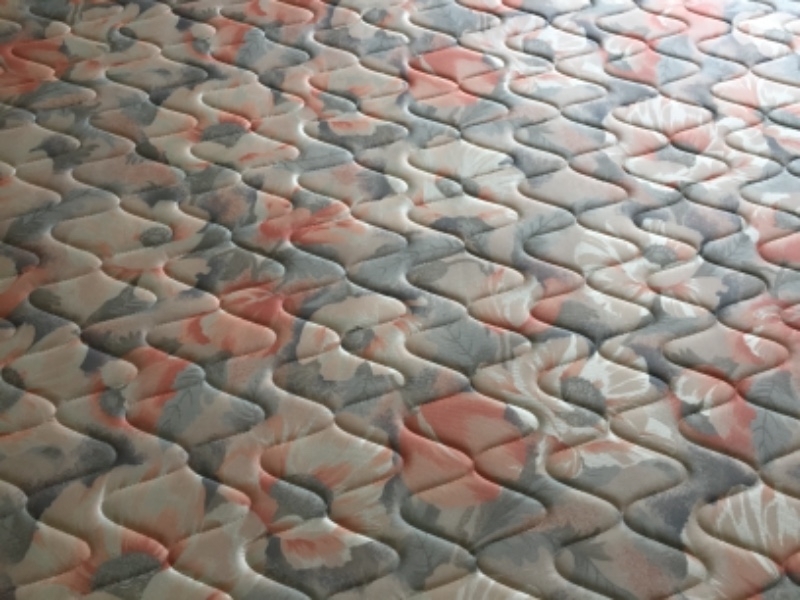 good quality small double bed although it has some stains on the mattress and the base is a little frayed. 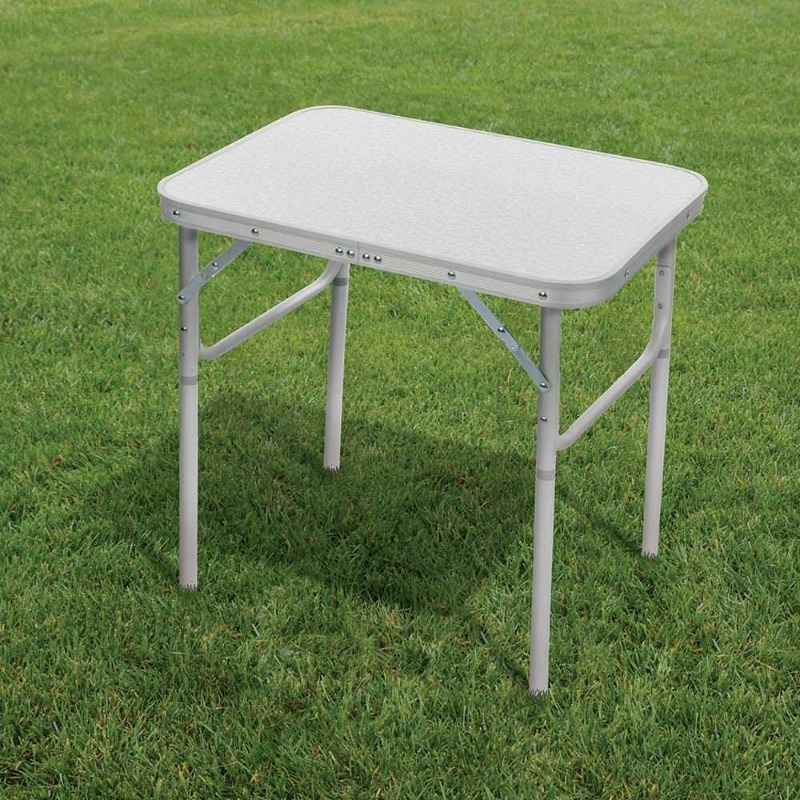 It is incredibly comfortable and will come with the zip up mattress protector. Must be collect before Wednesday 20th or it will be taken by the bed company. 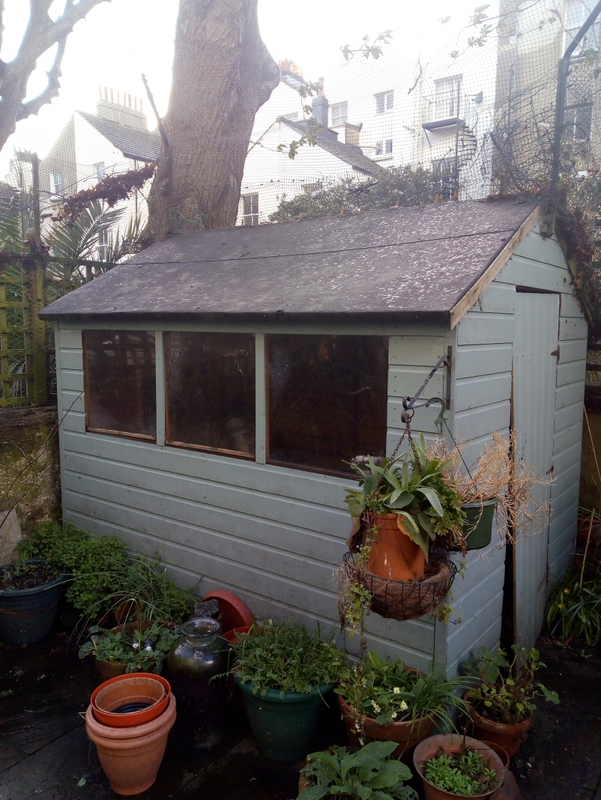 2 years old 8 X 6 shed in very good condition but has warped door free to collector who must dismantle. The shed will have to be taken out through the flat there is no garden entry. Collector must be respectful of not damaging property on removal. Ground floor flat Cambridge Road Hove. 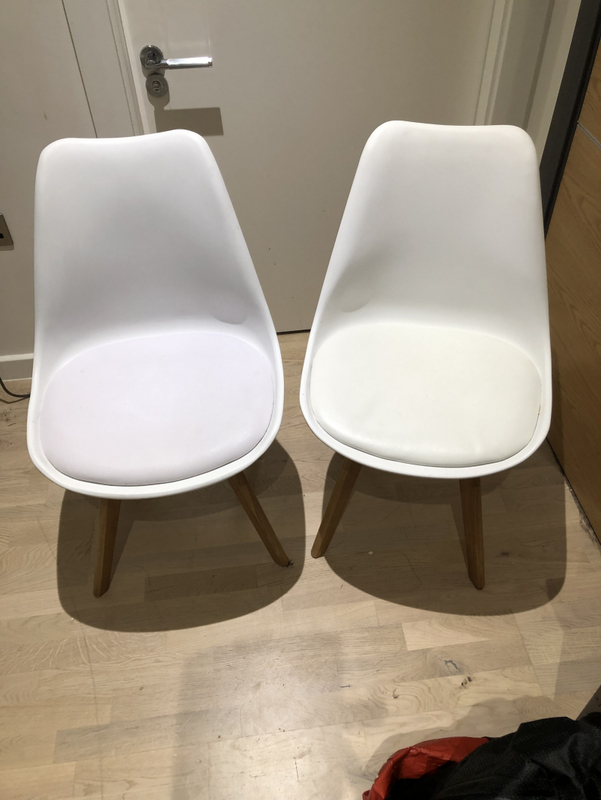 Two chairs available for collection only. Both are broken. One leg on each chair is broken. 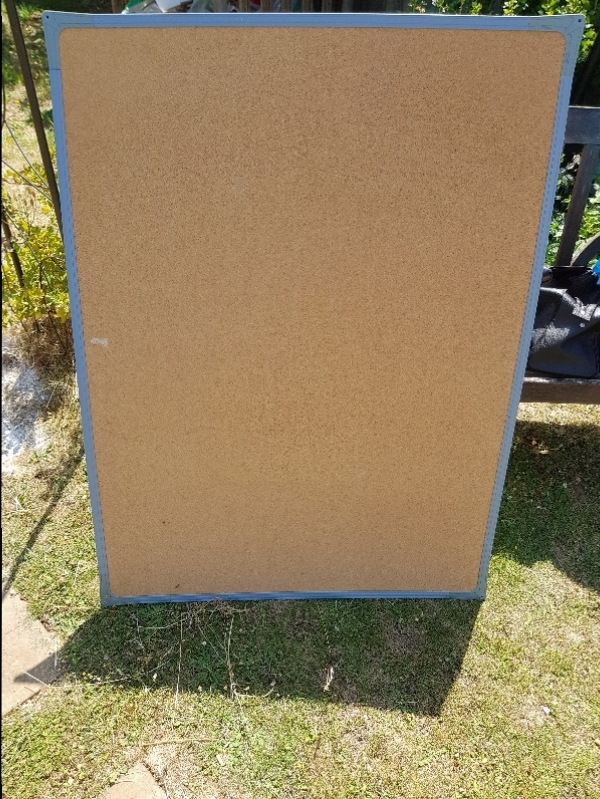 This piece of foam has been in my loft for a few years. 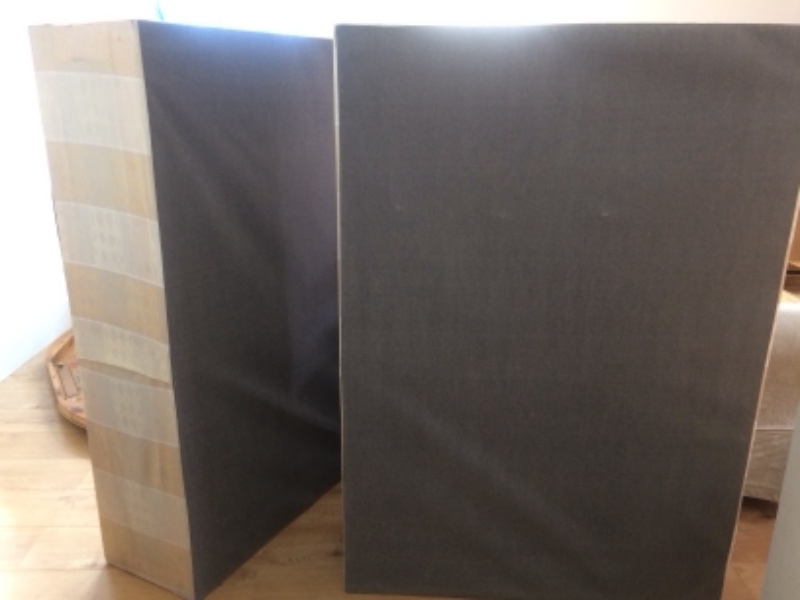 It's 8cm thick and was bought to top a very hard mattress, so it's not very dense. Has been stored rolled in plastic. 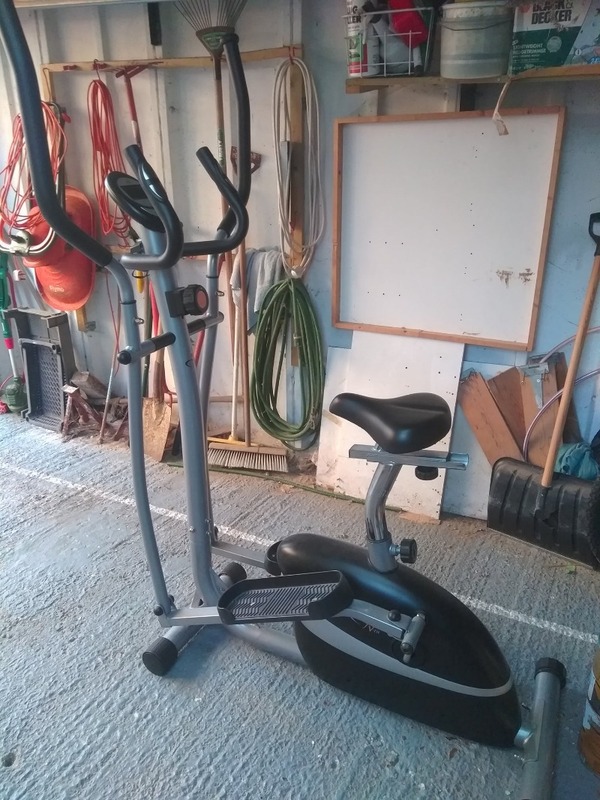 Just dismantled and ready to go, light wood, good condition, mattress available if wanted. Smaller than usual cot so perfect if short on space. Still fits my nearly 2 year old. 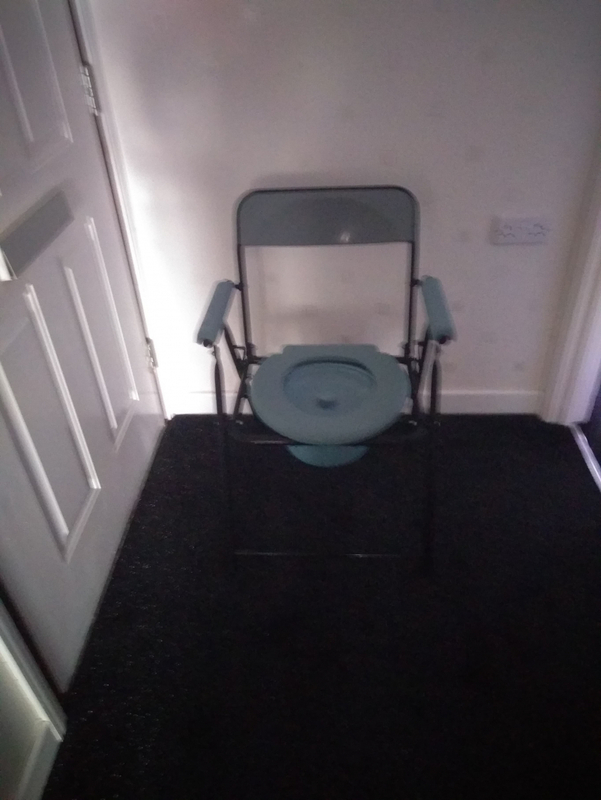 Complete with foot control, power cable, etc. but not working. A project for someone? Unopened pack of five Hoover branded H20 bags. Three Hoover-compatible bags, type H120. Anyone have a vacuum cleaner these fit? When replying please say when you could collect. 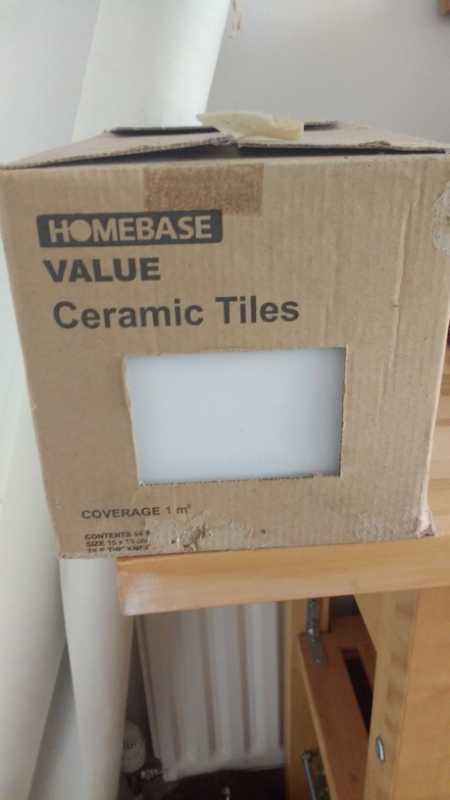 A full box of unused white 15cmx15cm tiles. Coverage 1m square. 44 tiles. 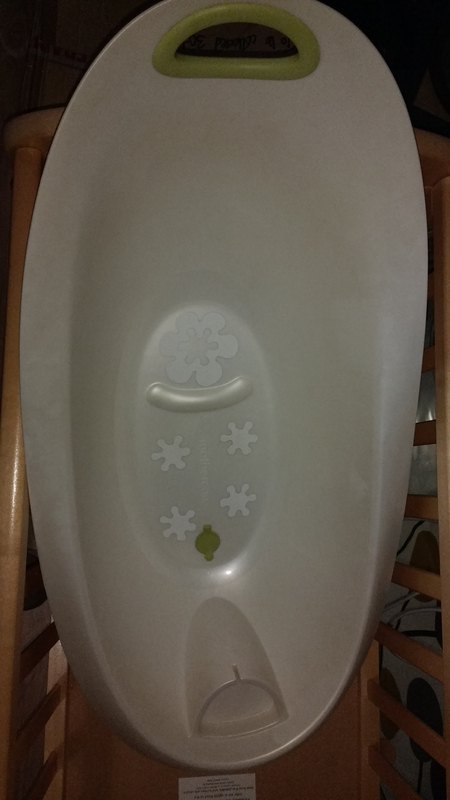 A Mothercare baby bath that's no longer needed. I've added non-slip stickers to the bottom. 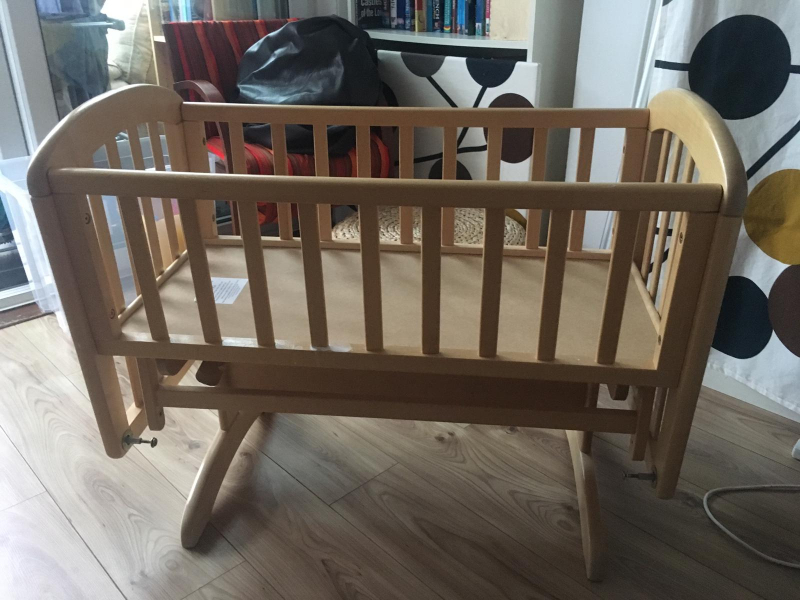 Anna Glider rocking baby crib from John Lewis. It's for newborn to about 6 months. 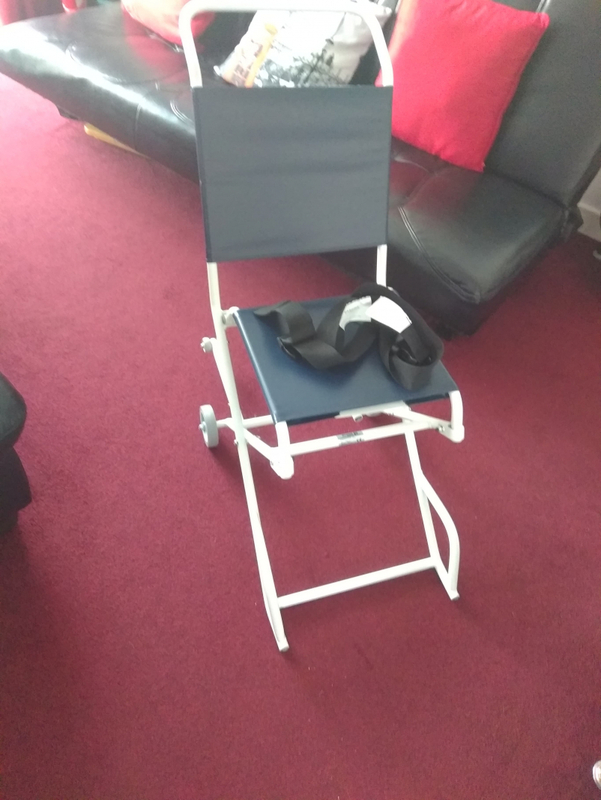 Slightly bigger than a moses basket, but sturdier, which can be useful if you have a slightly older child who likes to hang on things all the time! 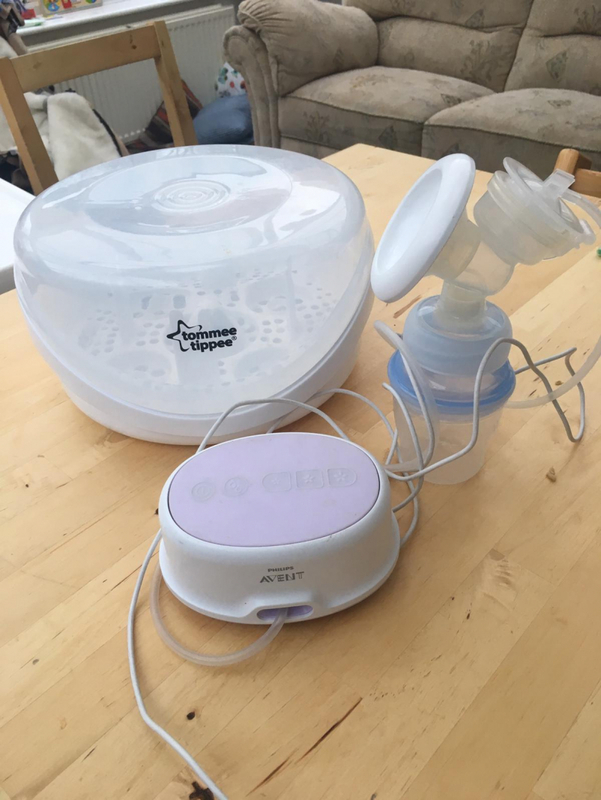 An electric Phillips/Avent breast pump. Also have the handle that you can use to make it a manual one. Useful when you're travelling or can't find somewhere to plug it in. 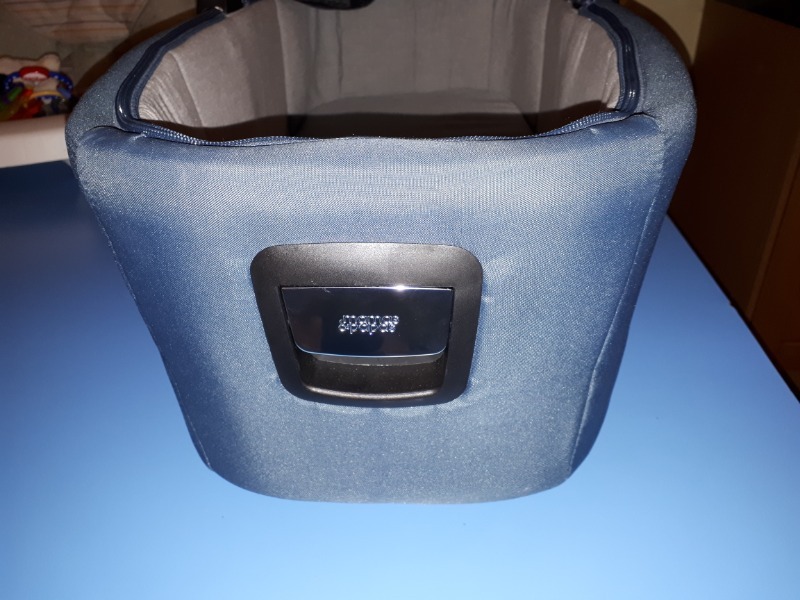 Can include the microwave sterilizer in the picture if you want it too. 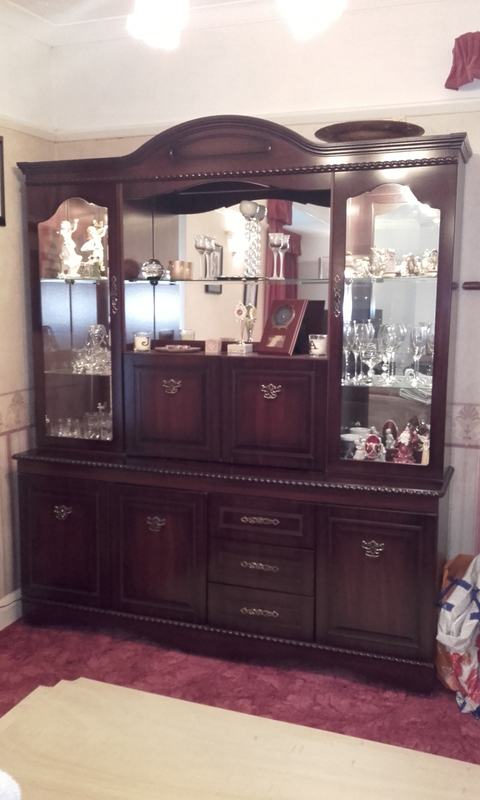 Mahogany unit in very good condition. 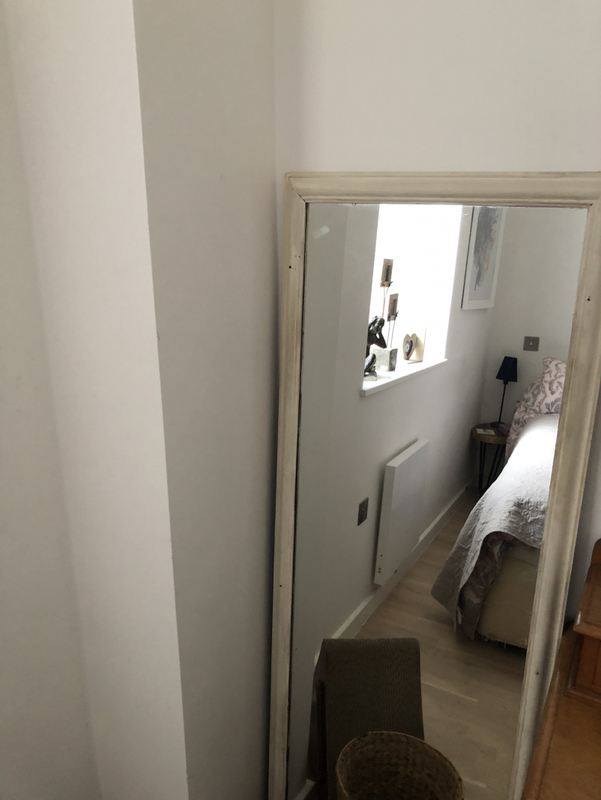 Includes drinks cabinet. 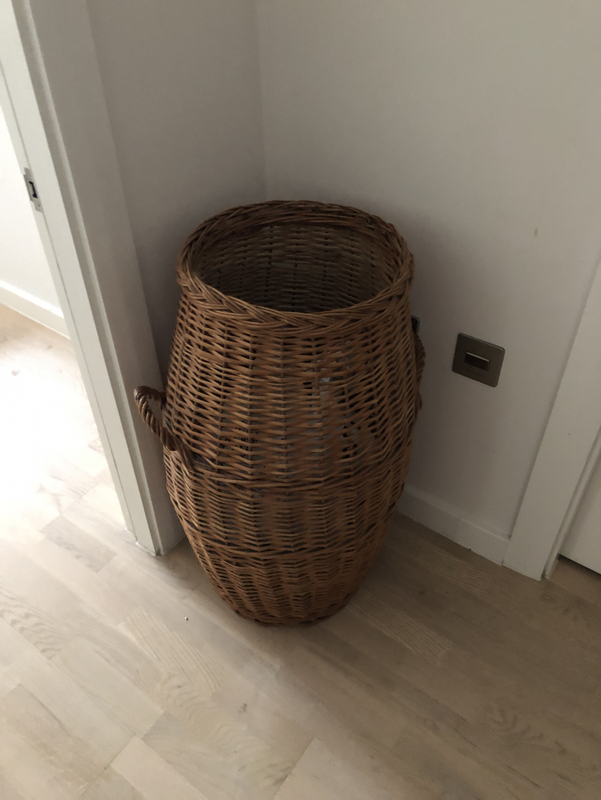 168cm long x 45cm deep x 200cm high. Collection only. I've just taken on an allotment and I'm looking for tarpaulin or weed suppressing fabric to cover over winter. Based in Portslade, happy to collect within 10-15 miles. I've just taken on an allotment and I'm looking for tarpaulin or wed suppressing fabric to cover the plot over winter. Based in Portslade, happy to collect within 10-15 miles. Dimensions Width: 81cm Height: 52.5cm Depth: 41cm In very good condition. 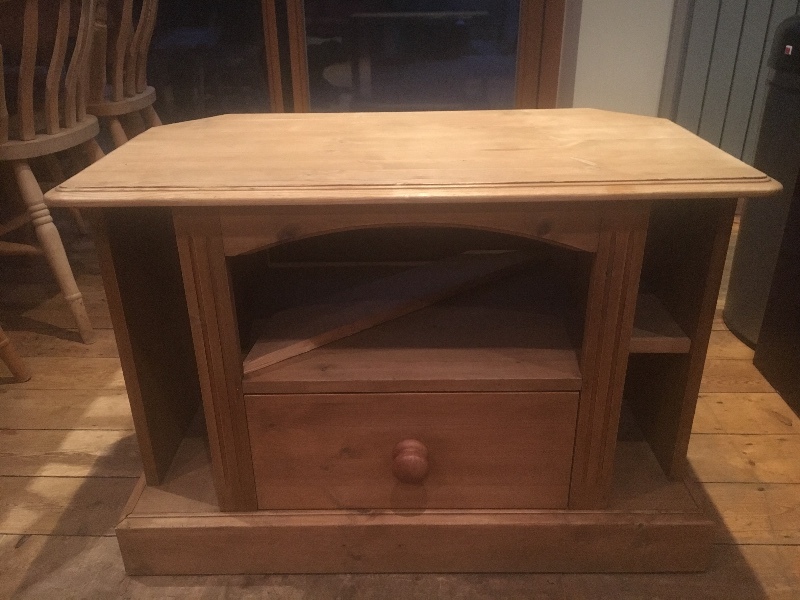 Fairly heavy as solid wood. Collection only from near Portslade Vilage. 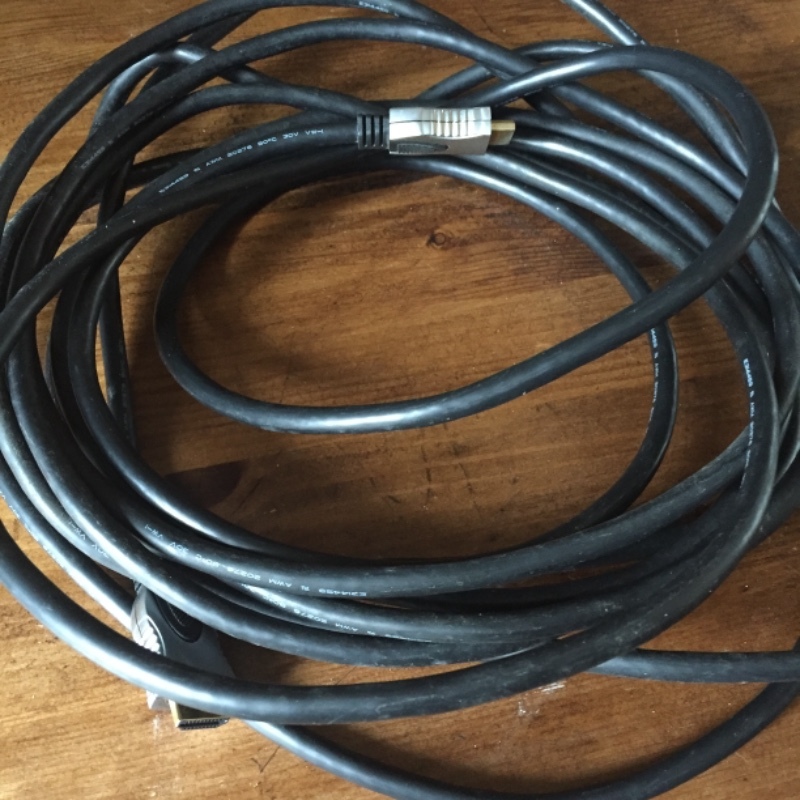 Working PC monitor, complete with all cables, just surplus to requirements. Collection only from near Portslade Village. 3 tool caddies, in good condition but a bit dusty! Take one, two or all three! Please say when you can collect and leave a mobile number if possible. Remember to check your spam folder for replies! Plastic waste bend 32mm, in unopened bag Just a random bit of plumbing pipe found when having a clear out - bought a couple of years back but never used. Free - Wickes plasterboard adhesive (powder) Approx 1/4 of a 25kg bag left over from building work carried out. 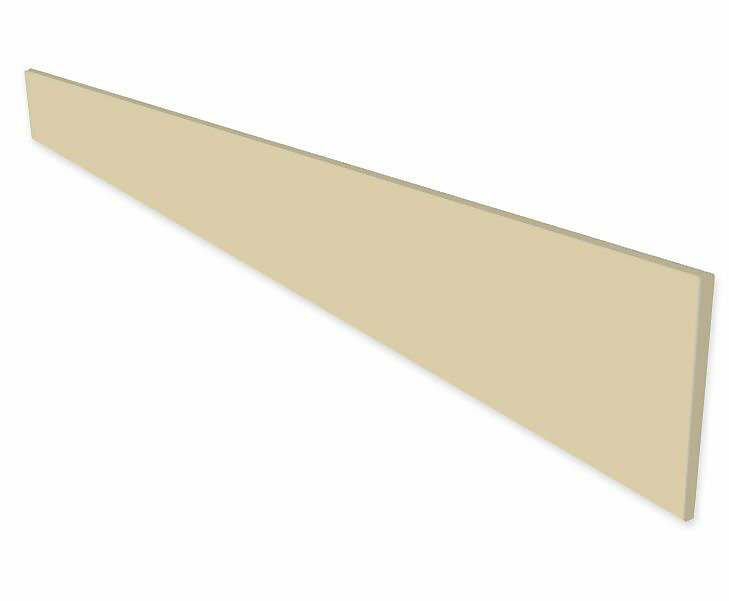 We have no use for this at all, but hoping someone can use this. 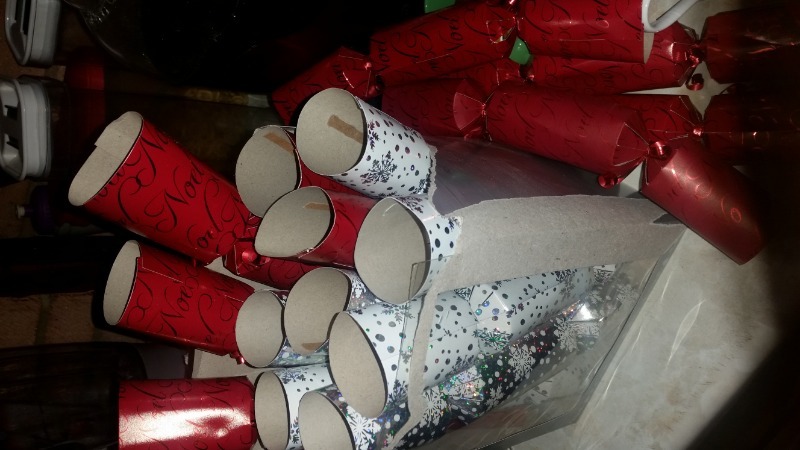 Christmas crackers Red x 9 Silver x 7 Can be picked up from my porch near Portslade old village Maybe in small lots if many people want a few. Most either just used briefly or unused. 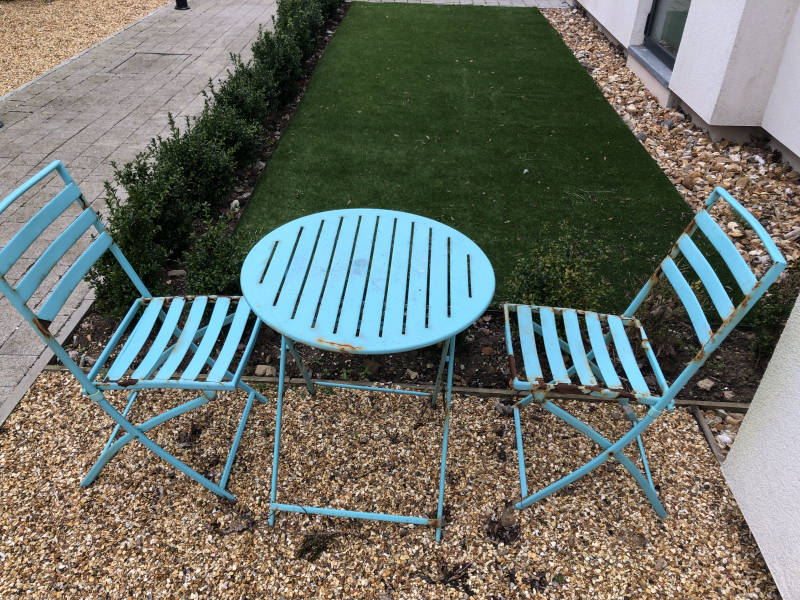 1x Farrow & Ball - Inchyra Blue 1x Farrow & Ball - Down Pipe 1x Crown Indulgence - City Life 1x B&Q Colours - Asphalt 1x Dulux Easycare - Denim Drift 1x B&Q Colours - Grey Slate Please take any or all pots as needed, just looking to get rid of them without chucking away. All barely used or unused. 1x Colour Courage - Hono Lulu 1x Craig & Rose - Fresh Plaster 1x Crown Breatheasy - Creme De La Rose 1x Crown Breatheasy - Fairy Dust 1x Dulux Natural Hints - Blossom White 1x B&Q Colours - Fairy Cake 1x Crown Breatheasy - Pashmina Please take any or all pots as needed, just looking to get rid of them without chucking away. Most either just used briefly or unused. 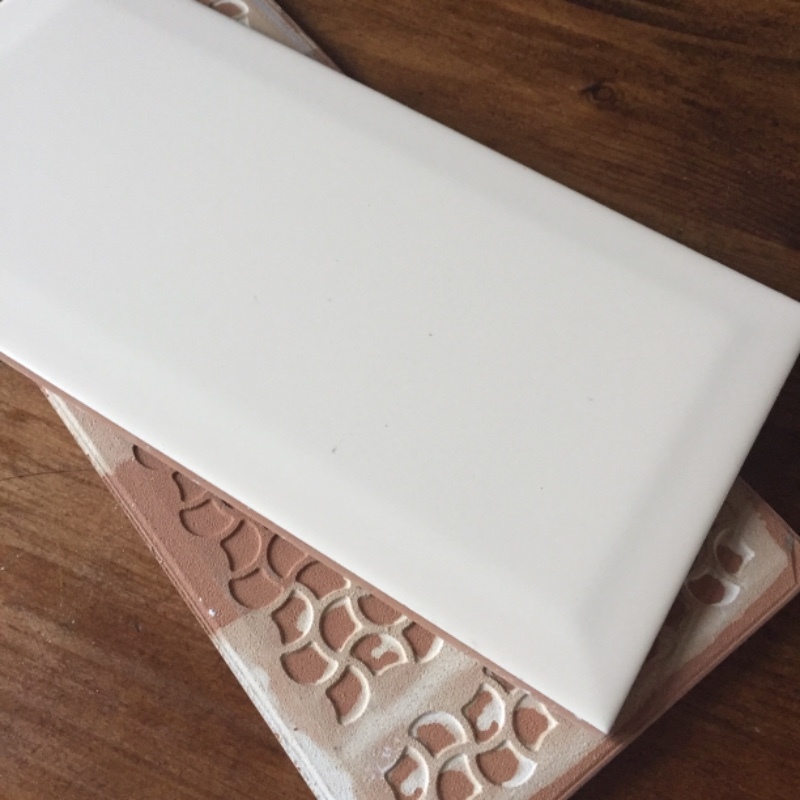 1x Crown Kitchen - Splash of Pepper 1x Dulux - Rock Salt 1x Fired Earth - Silica White 1x Fired Earth - Aunty Maud 1x Dulux Timeless Classics - Vintage Chandelier 1x Valspar Cambric Lace Please take any or all pots as needed, just looking to get rid of them without chucking away. 3x pack of paint rollers, medium pile, 9" x 1 3/4" (225mm x 43.75mm). Completely unused, but we are just having a clear out. 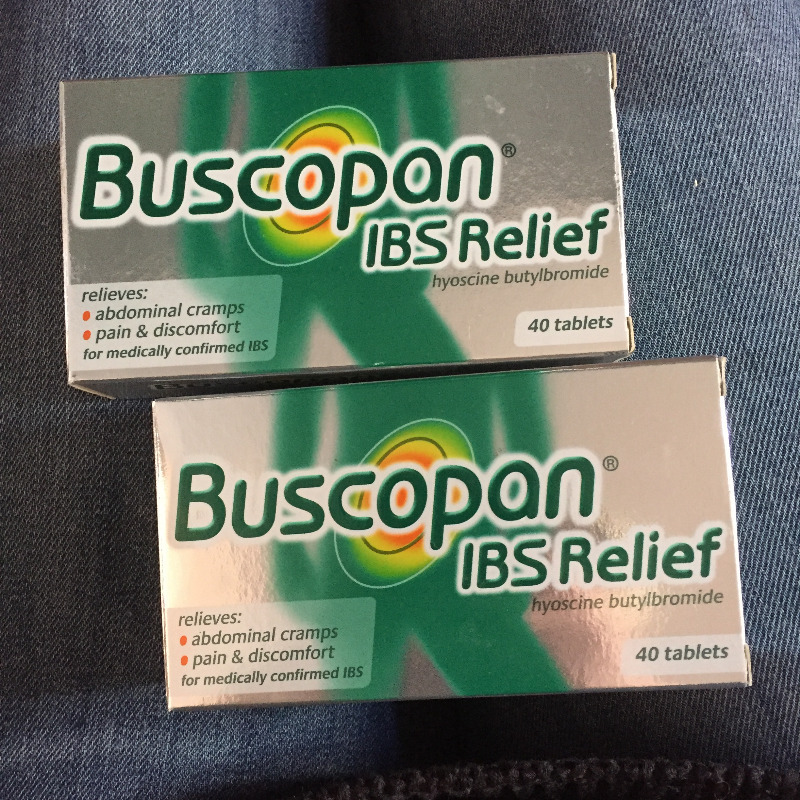 Two boxes of Buscopan IBS Relief tablets - one full box of 40 tablets and one box containing 27 tablets. They are non-prescription tablets and both packs have an expiry date in 2020. Seems a shame to waste them as it's so expensive to buy any kind of tablets these days. Kid size, the basic kind with small wheels. 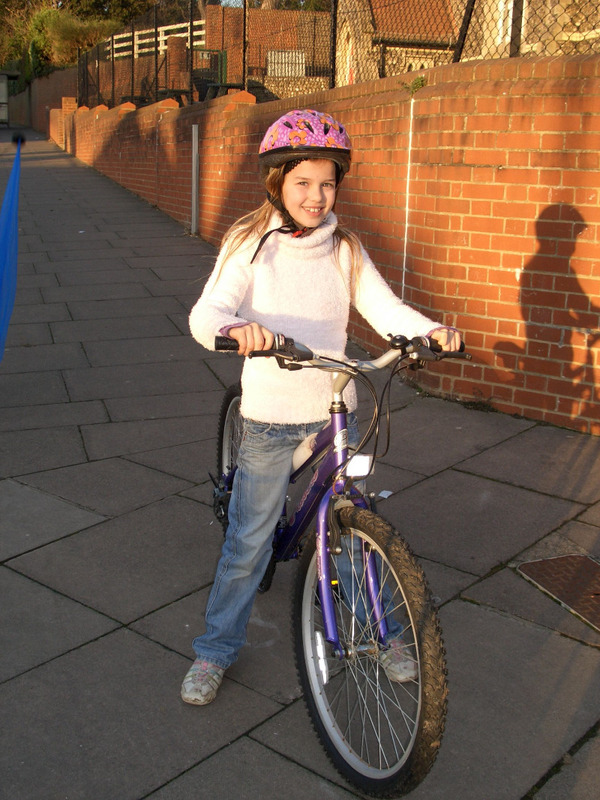 Purple bike for boy or girl, sadly been left out in the rain and now squeaks. Size 6-8 years I would think. Big relatively new duvet but needs washing (coffee stains). 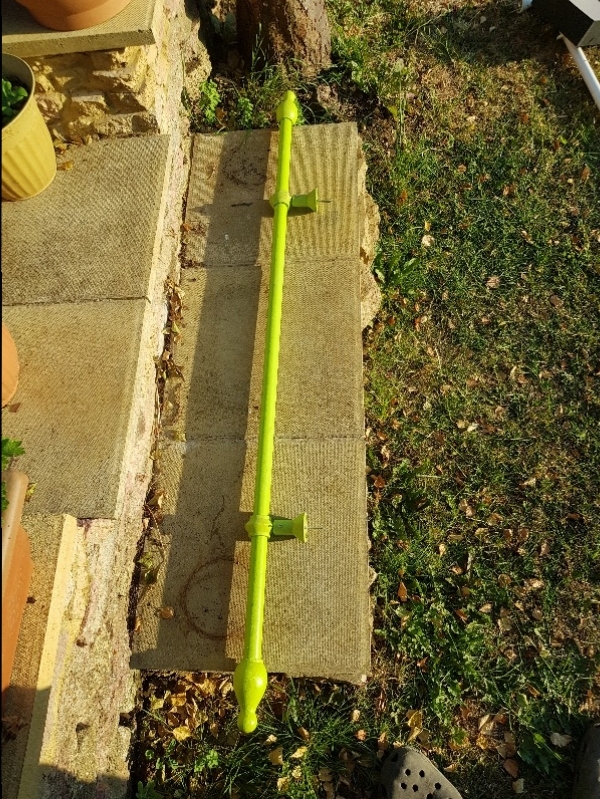 Belonged to a friend who asked me to take it to the tip, so not sure of size. It seems a shame to chuck it out. It fills a black bin liner. There might also be an electric blanket in there, it was too dark to check just now. Big bag of bubble wrap - ideal if you're moving house, storing stuff, posting stuff or just like the popping noise! Unisex 2.5tog 0-6 month baby sleeping bag. Stained on the front (yellow from baby dribble) but otherwise perfectly useable. My baby grew out of it at 4 months because she's long, so might not suit a larger/6 month babe. Collect from Southwick. 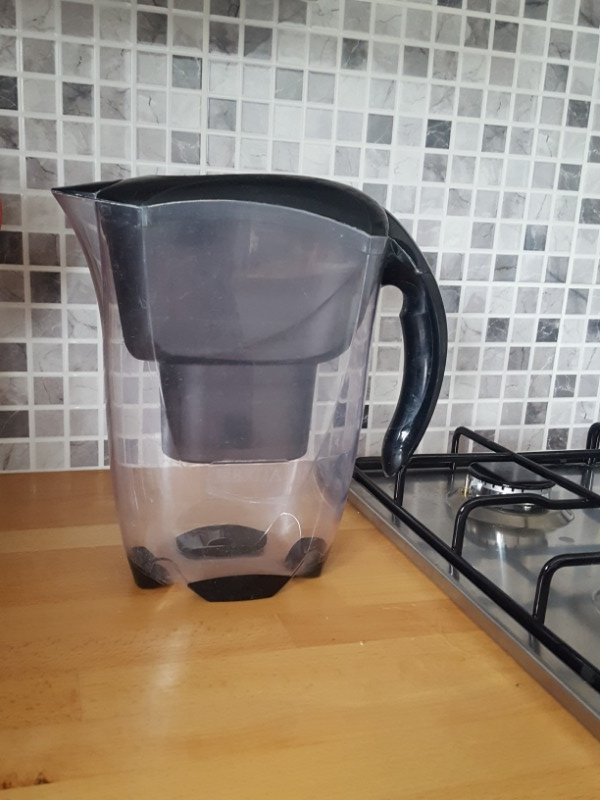 Brita Elemaris filter jug - takes Maxtra filters. Used but good condition - surplus t requirements as I've upgraded to an under-sink cartridge. Please say when you can collect and leave a mobile number if possible. Remember to check your spam folder for replies! 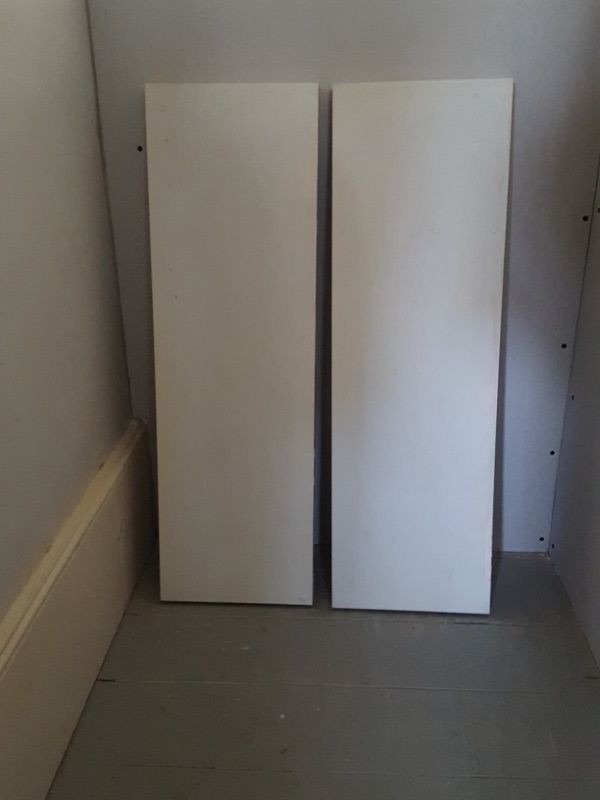 2 white floating shelves - complete with wall fixings. Some surface bits of paint on them which will easily scrape off. 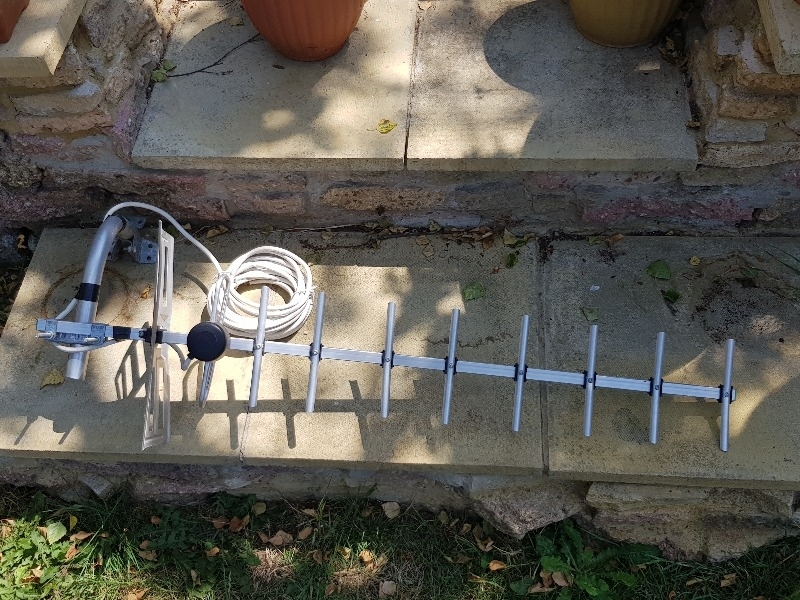 Measure 80 x 25 x 4cm Please say when you can collect and leave a mobile number if possible. Remember to check your spam folder for replies! 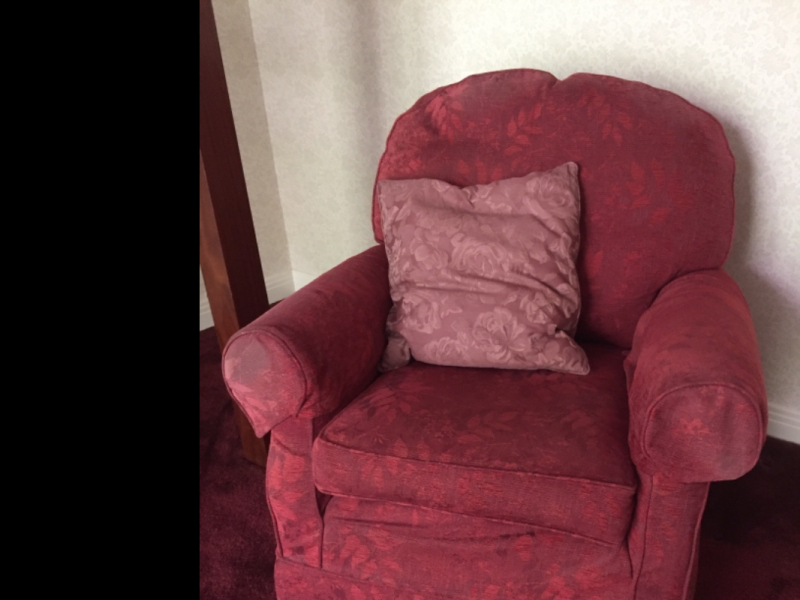 Good quality armchair by Multiyork. 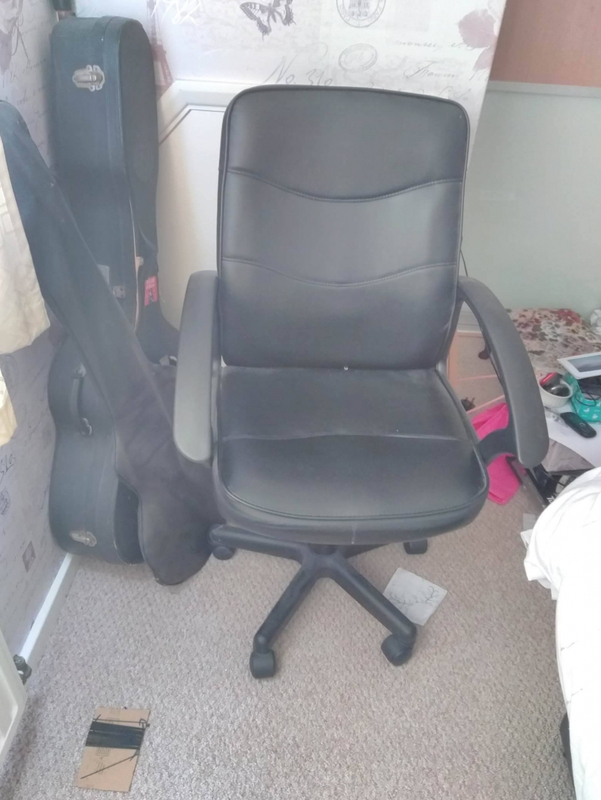 In pretty good condition and very comfortable. Collection ideally on Tuesday 9th October but other arrangements possible. Please note item is in Westdene! 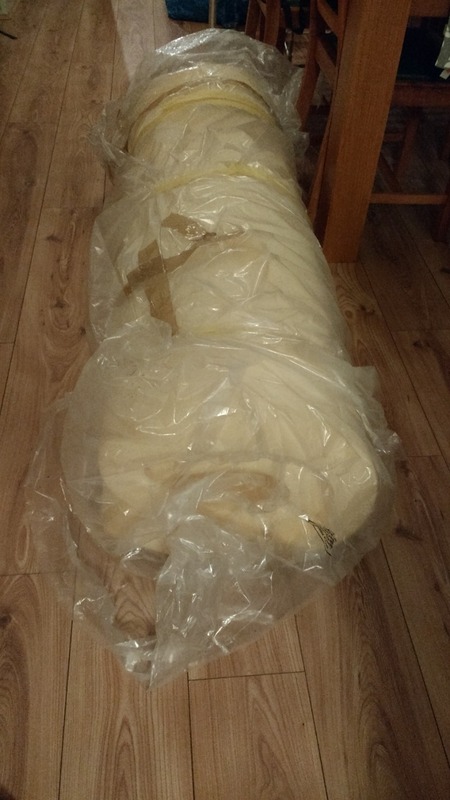 Approx 1.9m high and 3.5m long - was wrapped round american fridge freezer. Please say when you can collect and give mobile number. 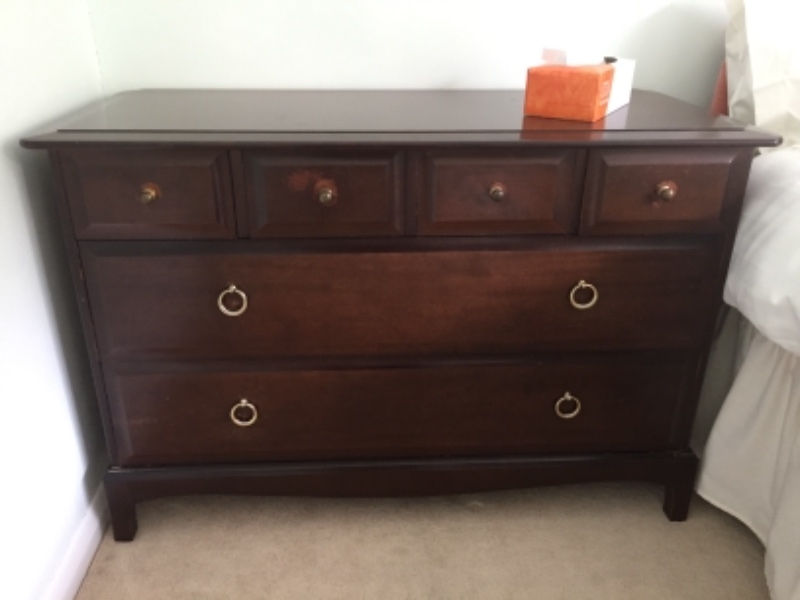 ‘Stag’ chest of drawers in good condition and really useful amount of storage. 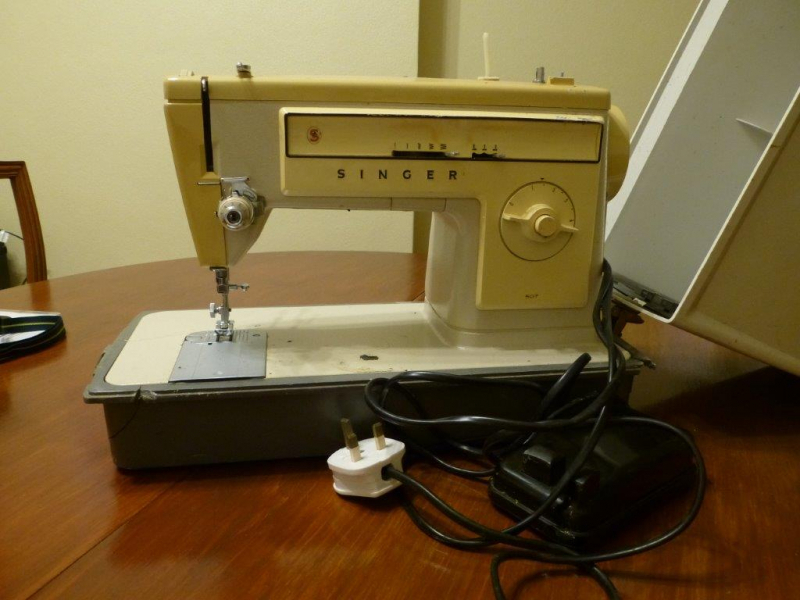 Good as it is or perfect for upcycling. Please note item is in Westdene not Portslade. Ideal collection date is Saturday 22nd September. Single bed with divan base. In really good condition and just a few years old. 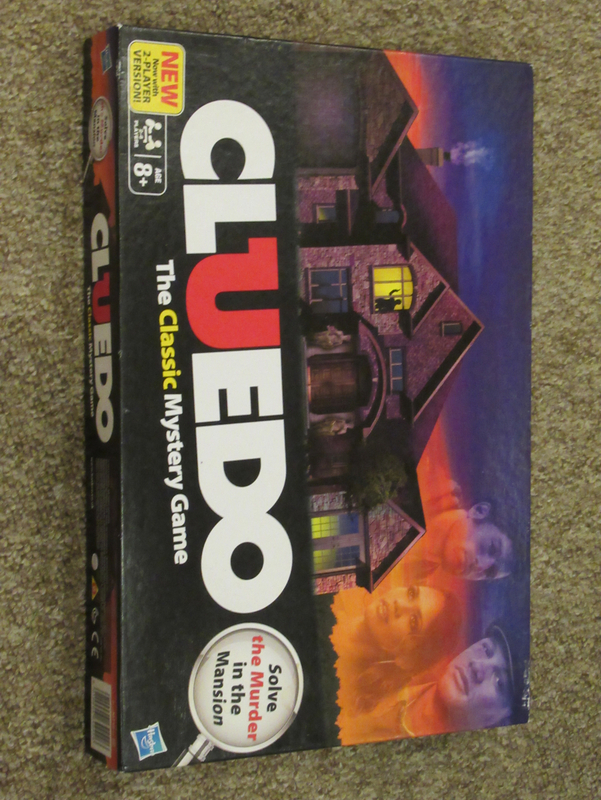 Please note item is in Westdene not in Portslade. Ideal collection day would be Saturday 22nd September. Double bed with divan base - headboard an optional extra! 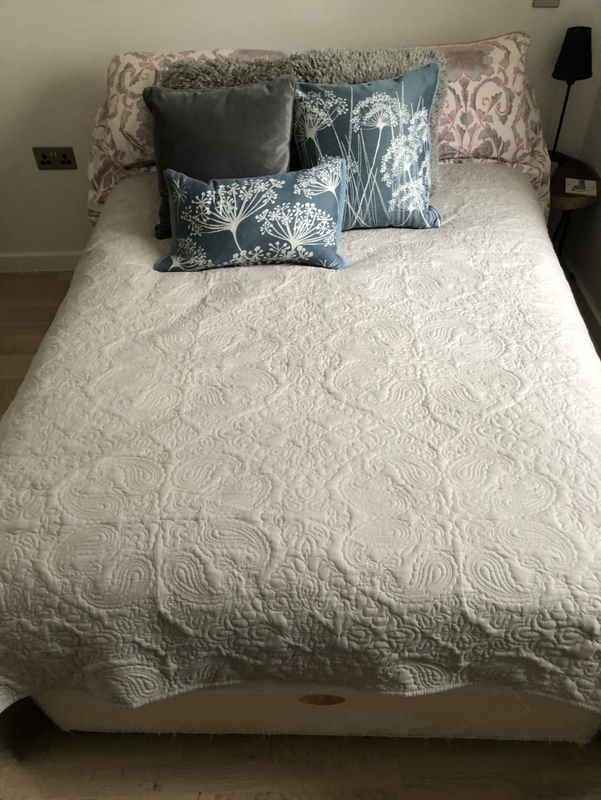 Been used mainly as a guest bed so in lovely clean condition. 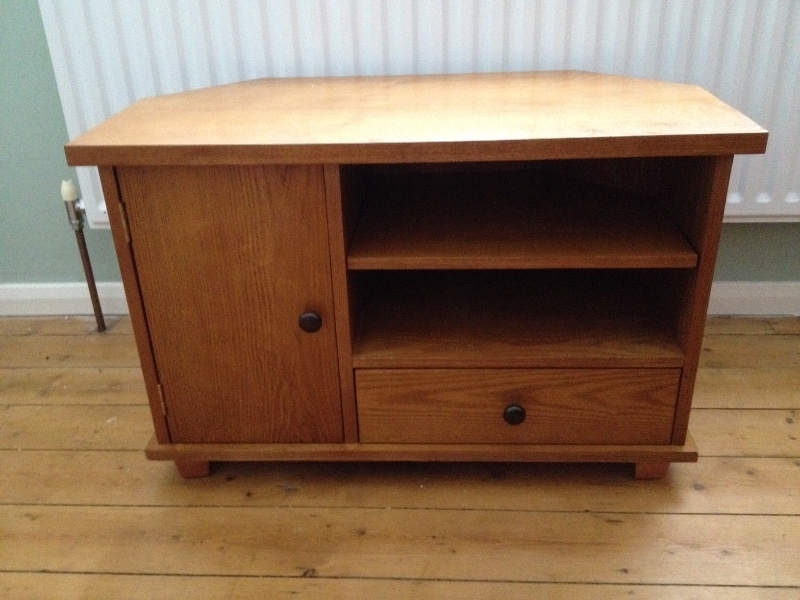 Free to collector - please note item is in Westdene not in Portslade. Ideal date for collecting would be Saturday 22nd September - other items to go too. 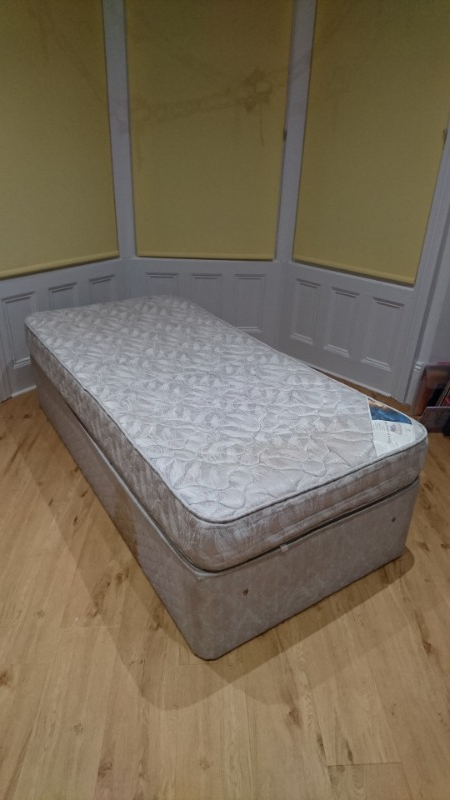 Double bed with divan base - and optional extra headboard! 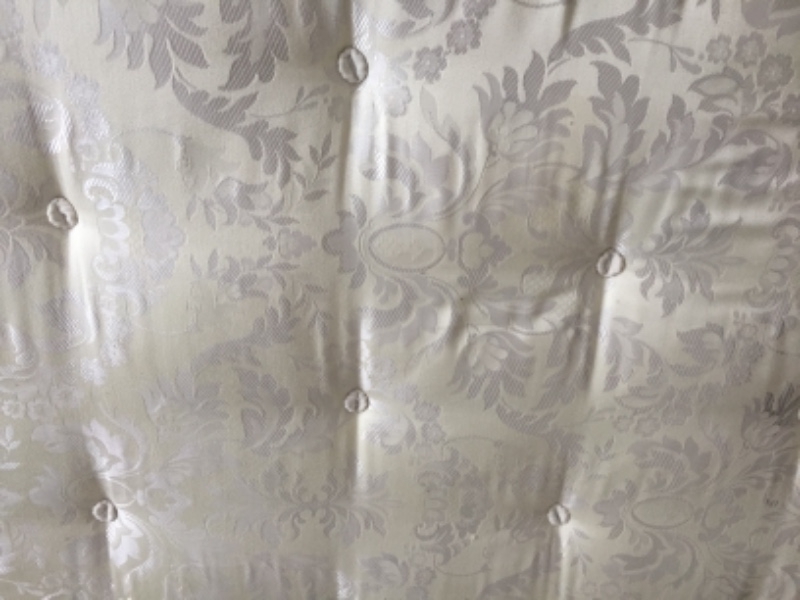 Nice clean condition - see photo of mattress. 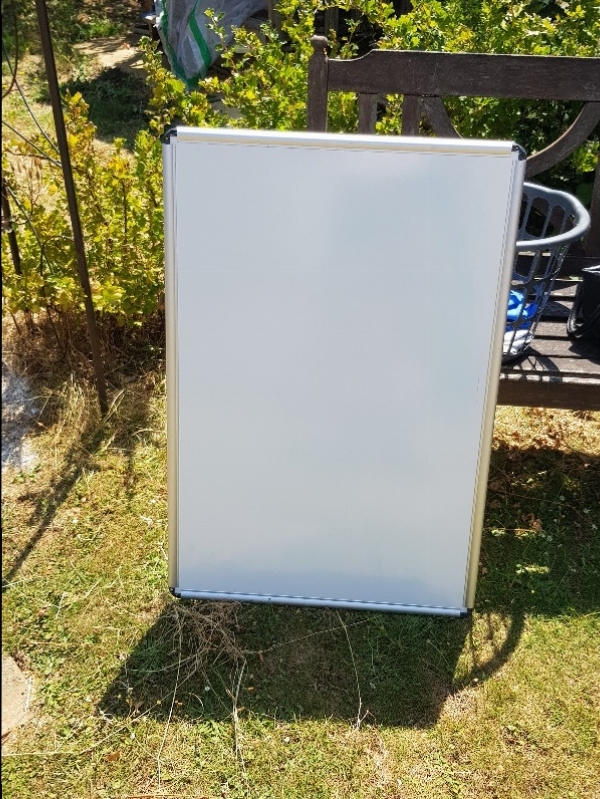 Please note item is in Westdene not Portslade and ideal collection date would be Saturday 22nd September. 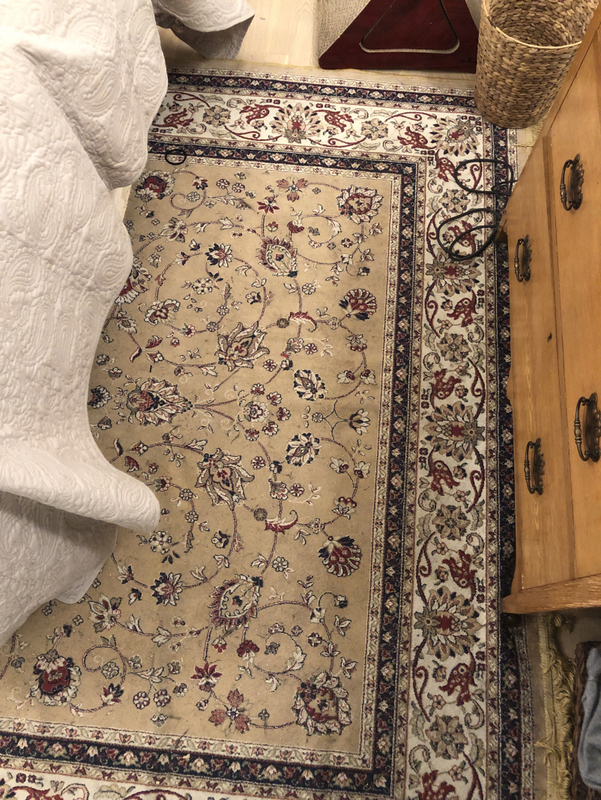 Single bed used as spare and now not used. Old but comfortable with storage space underneath. Moving house very soon . Needs to be taken in the next few days. "What to Expect When You're Expecting" "Mother & Baby" (Johnsons) Collect from Southwick. Want to keep a spare i. My czmper. Foam ring cushion for piles, postnatal comfort or anybody who needs to sit for long periods of time. 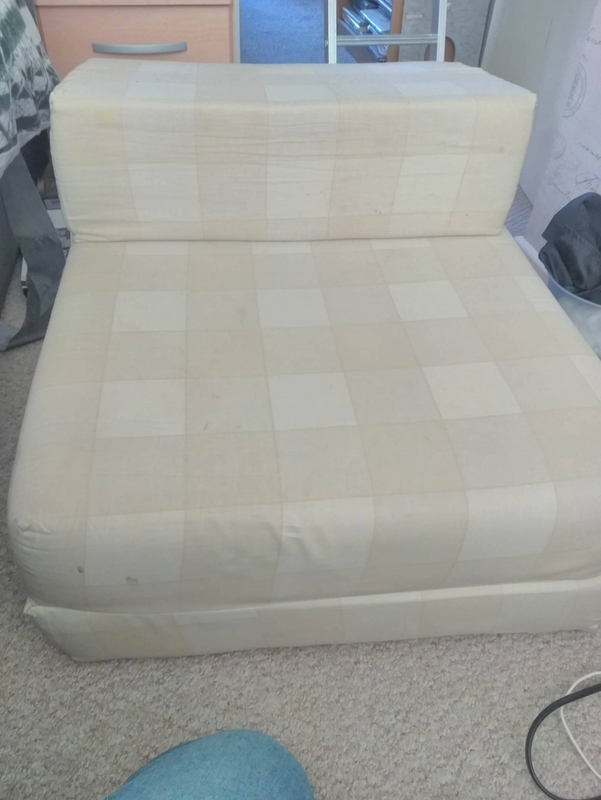 Looks like this one: https://www.completecareshop.co.uk/chairs-and-seating/chair-booster-cushions/original-ring-cushion Collect from Southwick. 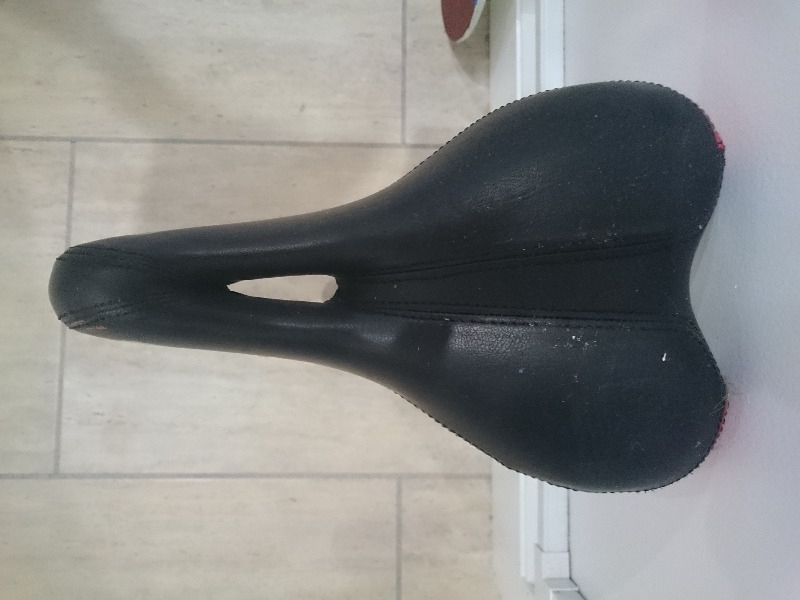 Sadly the bike was stolen, so only the saddle remains, but if you need a new saddle, this one is in excellent condition and comes complete with reflector. Looking for any amount of sand to put under astro turf? 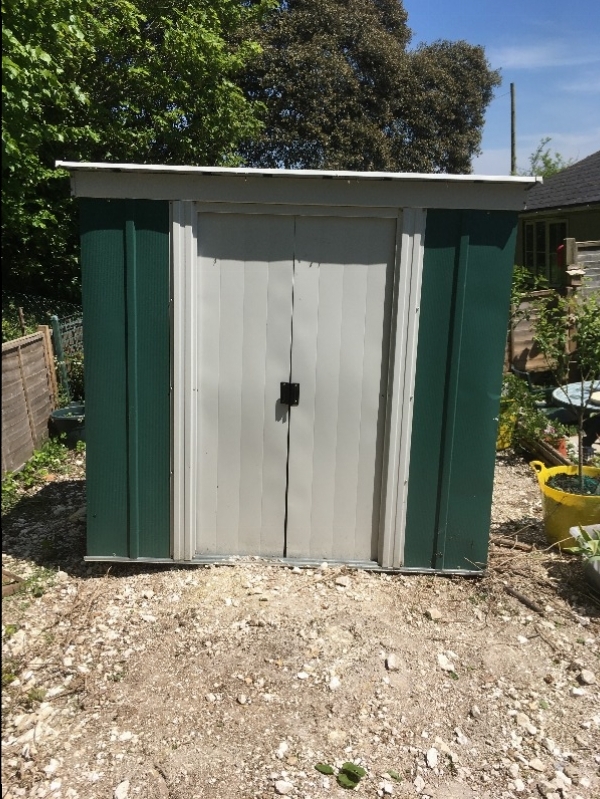 Green and grey metal shed. Collection only. 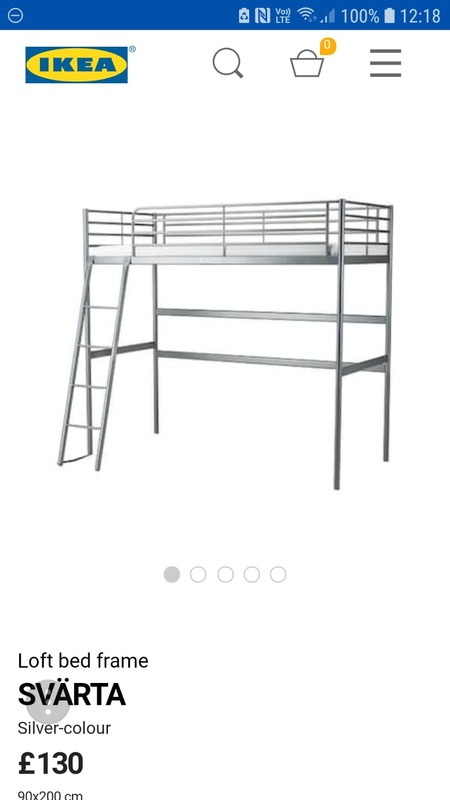 https://www.ikea.com/gb/en/products/beds/loft-beds-bunk-beds/svärta-loft-bed-frame-silver-colour-art-20247982 White not silver loft bed frame suitable for high ceilinged room. 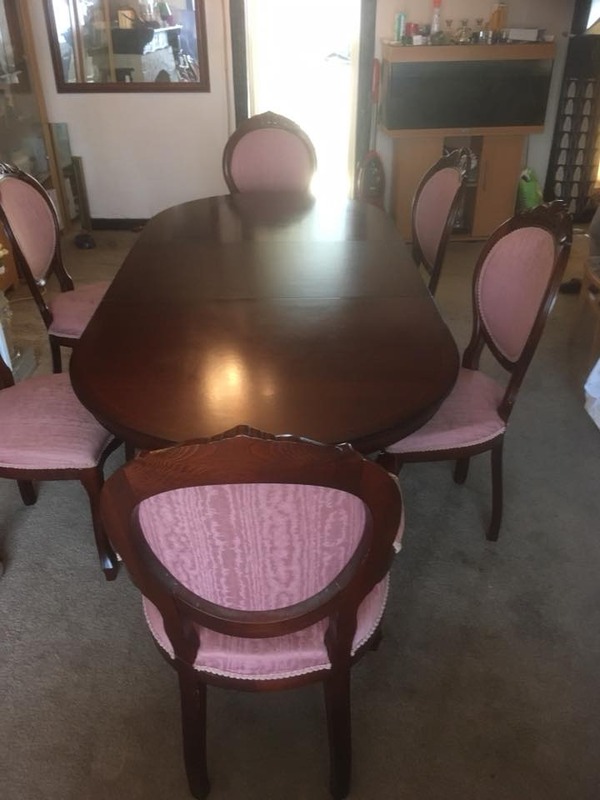 See Link for measurements. Full series 10 on DVD. 5 discs in total. 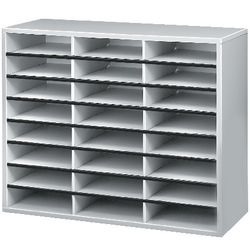 Looking for small items of furniture close to bn42 4yq please. Pair of armbands, noodle and 2 half noodles. All to go together. Please say when you can collect and leave a mobile number if possible. Remember to check your spam folder for replies! 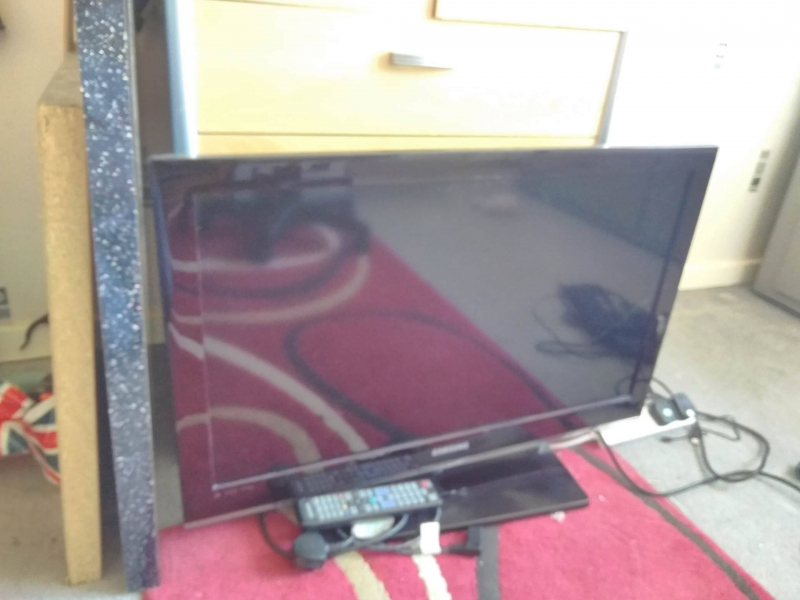 Kids tv does not have VHS any more so if you have a home for them. Videos probably suit from 3-7 boys and girls. Feels a shame to throw them away. Four bin bags of videos. I am a foreign language learner. Now I am learning English in a language school. I really need a good English dictionary to consult some vocabulary. Someone gave me an old English dictionary in 1930's, but it's too old to find some new vocabulary and there are not enough examples. So if you have some unused English dictionary, such as Cambridge dictionary or others for students, please give them to me. It's convenient for me everyday after 1 PM, and tell me your address I'll collect it by myself. Thank you. Electric egg boiler. 7 eggs boiled soft/medium/hard.